Let’s face it – many decisions should be made before your baby comes to this world. One of them is choosing a baby car seat that fits your car and is safe for a newborn. The first use of this product is the minute you take your baby out of the hospital or birth centre. So, buying and fitting a baby car seat inside your car before that happens is something that you must consider. 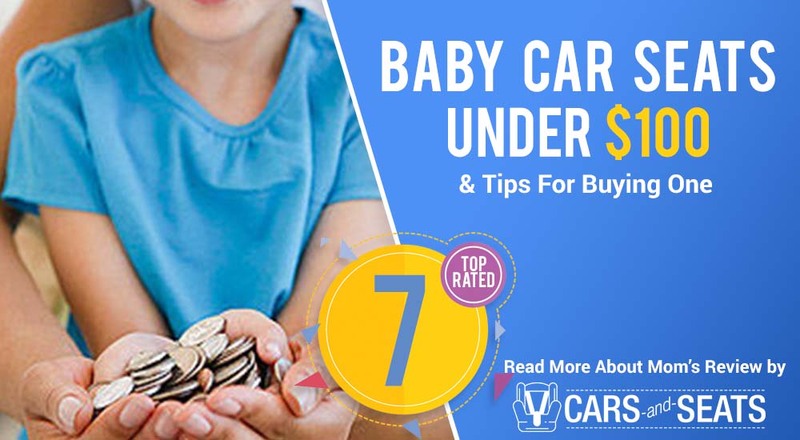 Now, if you are looking for affordable infant and baby car seats, this is the guide you need to make the right decision. Below, we are listing the best selling baby car seats under $100. 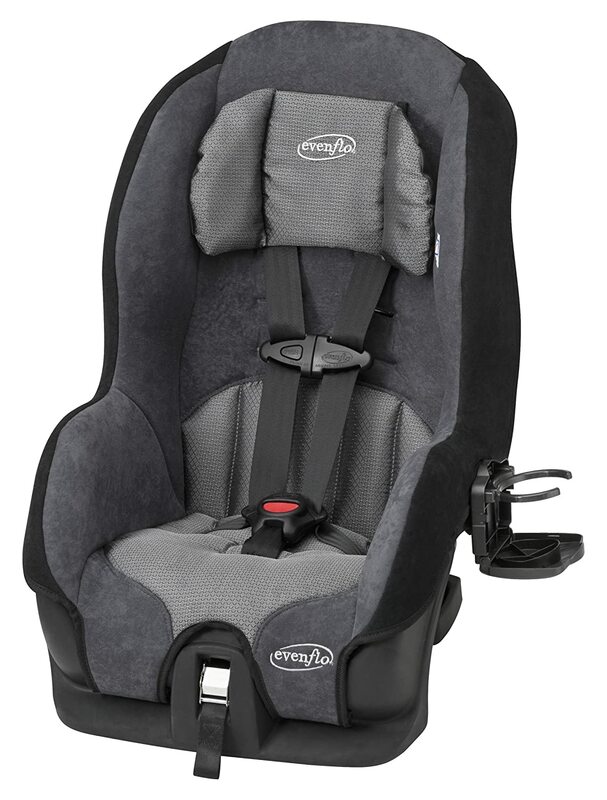 This baby car seat by Evenflo is one of the bestselling ones on the market. Designed and manufactured in the USA, it features side impact cushions and has a lot of add-ons in order to meet and exceed all the applicable federal safety standards. Even the Evenflo impact test standard is exceeded with this baby car chair. What makes the product great is the structural integrity which distributes the weight and energy levels approximately. The 4-shoulder strap positions also allow a tight fit but are flexible enough to accommodate growing children. 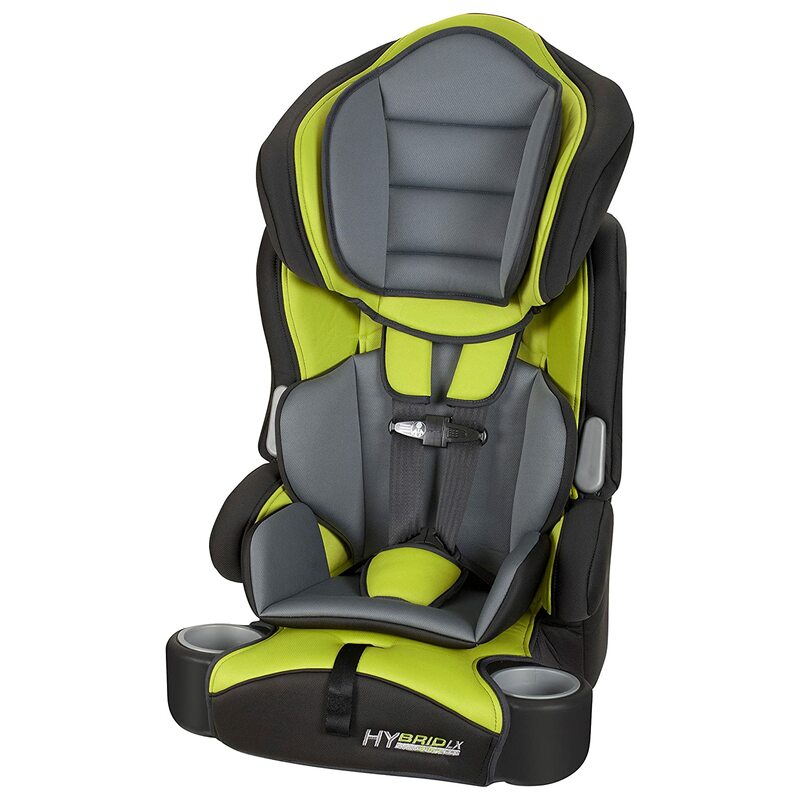 Easy to access and easy to fit in any vehicle, this product gives infants and toddlers extreme comfort. Plus, you can wash the car seat cover it in the machine or with mild soap and water – and the buckles in a cup of warm water. Whether it’s for use in your vehicle or when traveling, the Tribute LX baby car seat is a product that gives you comfort and convenience when carrying your baby – not to mention their comfort when sitting in it. Taking it out, lugging it around and reinstalling it in different vehicles is also a breeze. As one of the most top-rated baby car seats, Baby Trend’s Secure 35 product focuses on safety and ease of installation as the main features vehicle owners look for when browsing through the variety of toddler car seats. 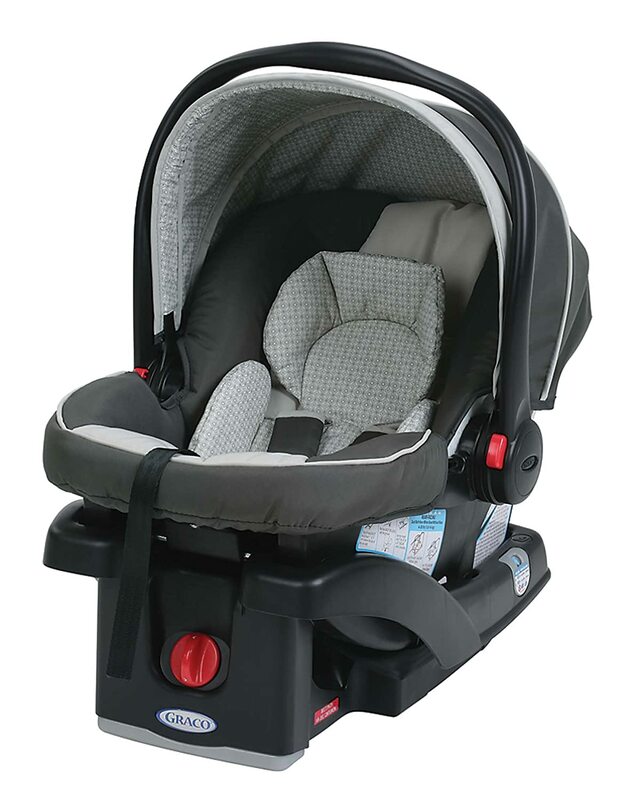 This model has a front adjustable safety harness that allows simple harness adjustments so that you fit your child properly and allow the seat to grow with your child. Speaking of, growing in the Baby Trend Secure 35 infant car seat is one of the best things you can imagine. The Flex-Lock latch system has a lot to do with that, as well as the 4-positioned button height adjustment with different levels for children of different ages. And when it comes to extra features, there is one that rules them all – the smooth carry handle on the product that doesn’t scratches your arms and makes this baby car seat versatile and functional. So all in all, this is a baby car seat that gives you confidence that your child is safely buckled in It is a great car seat made of top quality materials which looks great and stands up to wear. The angled grip options on the handle are very helpful – just like the different carry options. 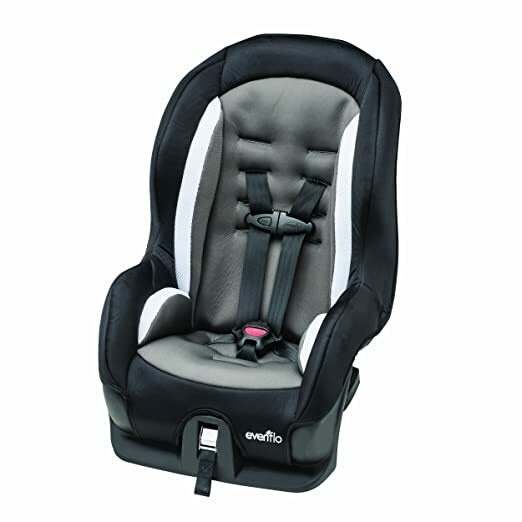 The Evenflo Tribute Sport Convertible baby car seat offers a great fit in most of the vehicles. The reason for that is its slim and compact design which makes installation and uninstallation easy from vehicle to vehicle. 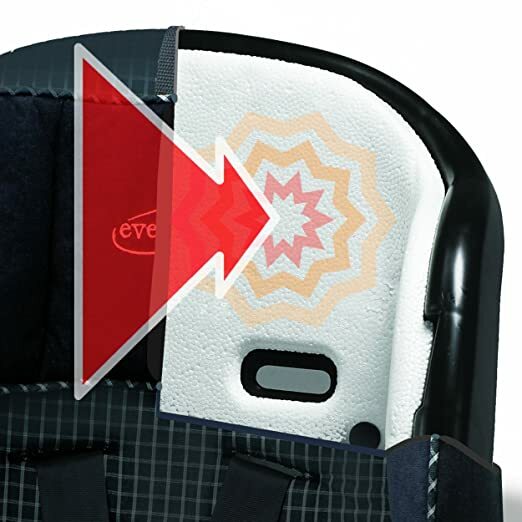 All of the side cushions are tested against impacts and just like most of the Evenflo baby car seats, this model meets all the federal safety standards as well as the Evenflo side impact test standards. Design-wise, this toddler car seat is ergonomic and structurally stable. Compact in size and lightweight, it is perfect for caregivers who are switching between multiple vehicles and provides an amazing fit in all kinds of situations. 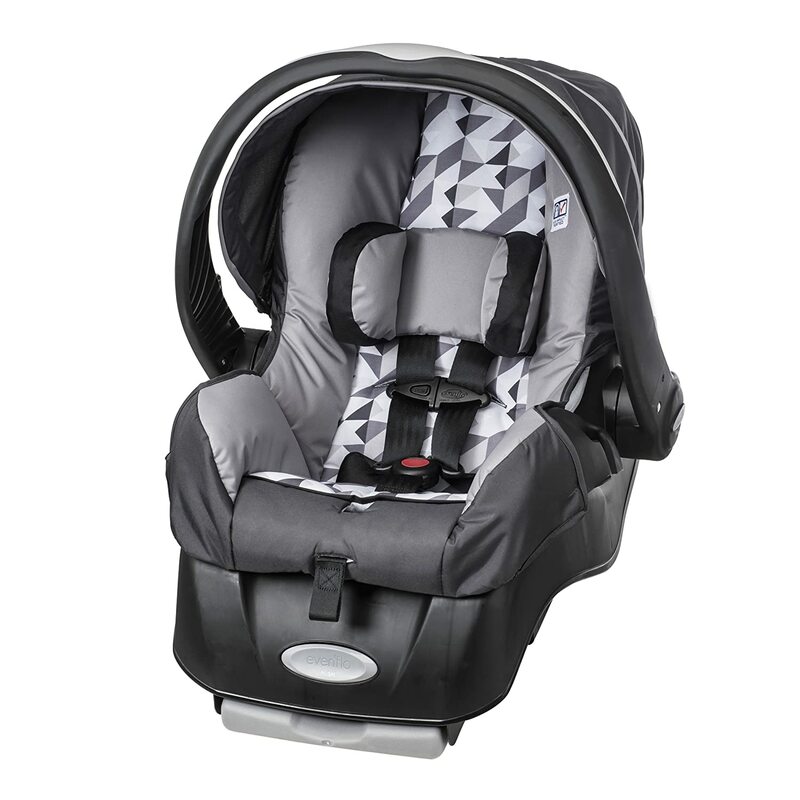 There are two main buckle positions to adjust as your child grows and a rear-facing recline use which is a feature that makes the chair more versatile. However, the biggest reason why the Evenflo Tribute Sport toddler car seat is among the best selling products is its functionality. Speaking of which, the chair is easy to install, uninstall and carry which is why it is seen as one of the less demanding baby car seats out there – offering a premium experience and great value for money. 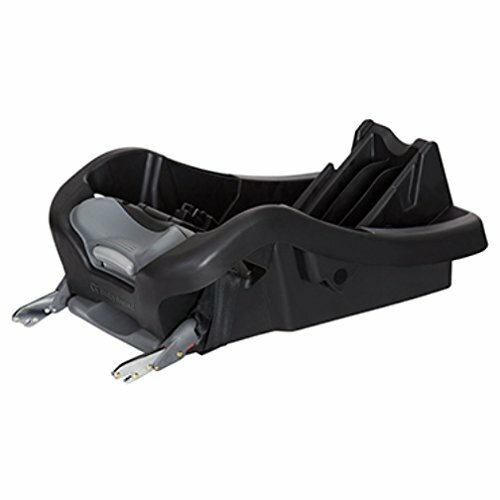 If you are looking for a car seat base for your baby rather than the average car seat product, this is definitely a model to consider. Developed by Baby Trend, this baby car seat base is compatible with most car seats and able to safely fit babies of up to 35 lbs. The integrated latch system has many “one push” compact latch connectors as well as built-in latch connector storage. There are four recline positions too and a built-in belt lock-off for installing with vehicle belts. All of this allows for quick, easy transportation and installation in any vehicle. According to customers, it is the perfect base that snaps right into a car with a fully integrated latch system. The ease of use and simplicity of the product is what makes it great and gives parents the five-star experience they deserve. Looking for an ultra lightweight infant car seat that is amazingly easy to transport from the car to the stroller and everywhere in between? If yes is your answer, the Graco SnugRide 30 LX Click-Connect car seat offers great value for money and grows along with your children. 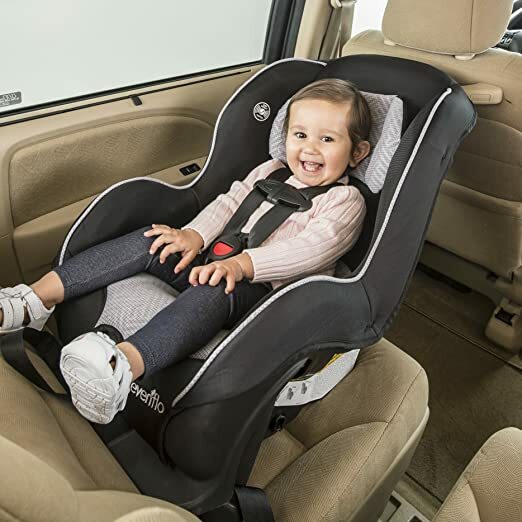 Moreover, it protects rear-facing infants from 4 to 30 lbs and up to 30” to safely ride in a car, making it one of the best first baby car seats to buy on the market. The Click-Connect technology is another impressive thing. For many, it is a revolutionary feature that provides an easy one-step secure attachment to all the Graco Click Connect Strollers. This creates a unique travel system that is designed to adapt to your needs and exceed your expectations. Soft and well-cushioned baby car seats don’t need to be overpriced. The Evenflo Embrace LX Infant car seat provides that with its amazing cushion-focused design that also comes with a base for easy carrying and installation. For many mothers, the weight of the car seat is very important – especially because their hands are often full with other things. Whether it’s a trip to the nearest supermarket or the local mall, a baby car seat should be lightweight and always easy to take off. The Evenflo Embrace LX car seat has all of that – plus a reasonable price. Everything regarding the installation is carefully outlined in the safety manual and Evenflo is a brand people trust a lot when it comes to safety. From the head gear (that is comfy and cushy) to the seatbelts (that are absolutely secure), this product mimics some of the best features of the premium Evenflo baby car seats at a price most parents are comfortable with. 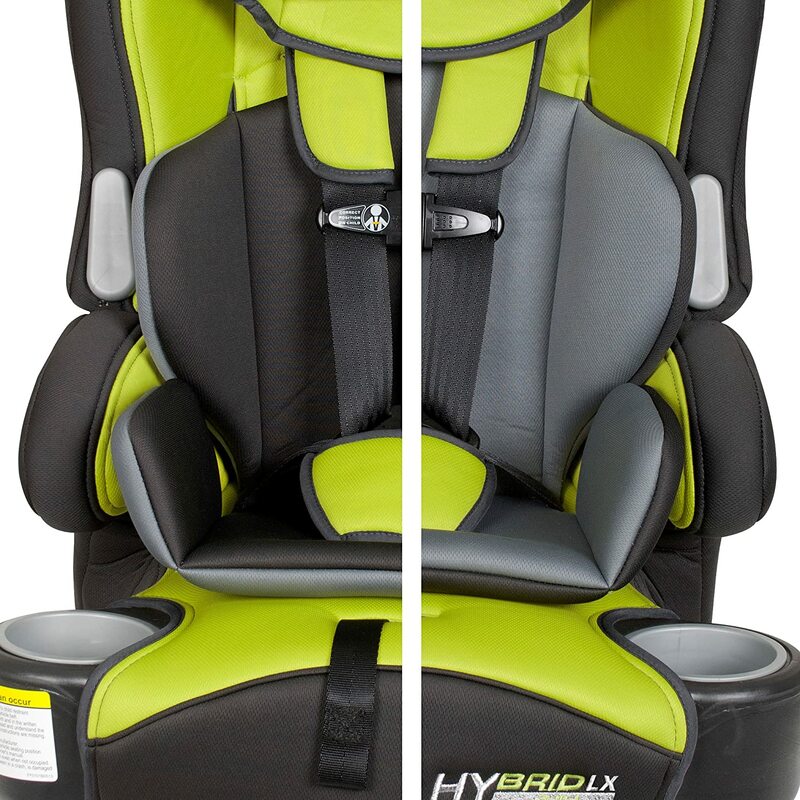 Last on our list of affordable baby car seats is the Hybrid LX model by Baby Trend which is essentially a car seat that grows with the child up to a capacity of 100 lbs. The all-around features and affordable price makes it popular on the market and gives your children everything they need for a smooth and comfortable ride. Speaking of comfort, the body and reversible soft head insert will ensure that your little ones fit snugly in the seats. With padded harness covers and a 5-point safety harness plus a tether strap, the technology behind this seat is meant to allow easy installation and uninstallation of it in many different vehicles. There are two cup holders and padded arm rests as some of the extra features. 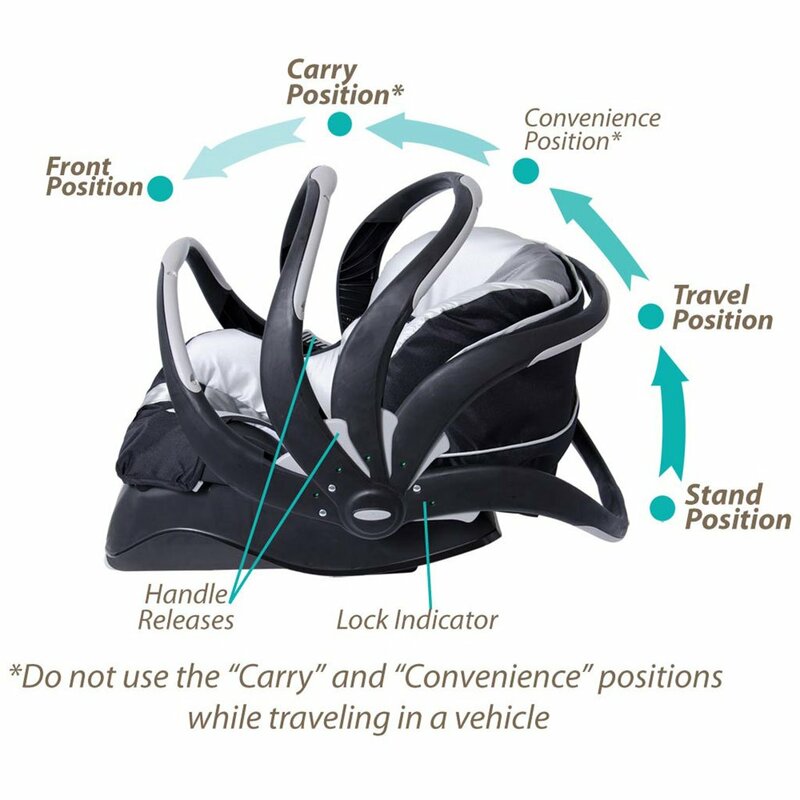 Shopping for a baby car seat is not a process that is as straightforward and simple as you may think. The truth is, there is only one way to take the baby home from the hospital, safely transport them to day care or take them on a trip to the local supermarket. The answer is simple – with an infant safe car seat. It goes without saying that safety is here in the focus. But what about the other things parents should know? If you have a newborn, consider two types of car seats – For newborns, rear-facing infant seat or a convertible car seat (which should be configured as rear-facing at first) should do the job fine at first. Buying a convertible car seat will save you money because it lasts through toddlerhood and is completely sound in terms of safety. Shop for a travel system – The best way to trim the costs of buying a stroller is to either purchase a stroller with an integrated baby car seat – or a travel system that easily locks your baby in the car seat for a stroller-like experience. Know which one is the safest – Safety standards matter a lot when choosing baby car seats. That is why you should make sure that the product you choose has been tested and approved for the current safety standards. Spend more and get more – If you can afford to buy a premium car seat (that is more expensive than $100) go for it because you will get tons of extra features such as anti-rebound bar at the foot which limits the amount of movement during a crash and similar ones. See if the straps are easy to adjust – Your baby will grow fast and if you want to prevent any trouble, check and see if the straps of your car seat are easy to adjust as your baby grows. The ideal scenario are straps that are not rethreaded. Look for 5-point harness – If you are shopping for baby car seats below $100, just make sure that the product you are buying has a 5-point harness system which means two shoulder straps, two waist straps and one strap between the legs. In the end, it is safe to say that there are still some affordable baby car seats on the market with great features. We hope that you are satisfied with our picks – and know which product to buy right now! Good luck!